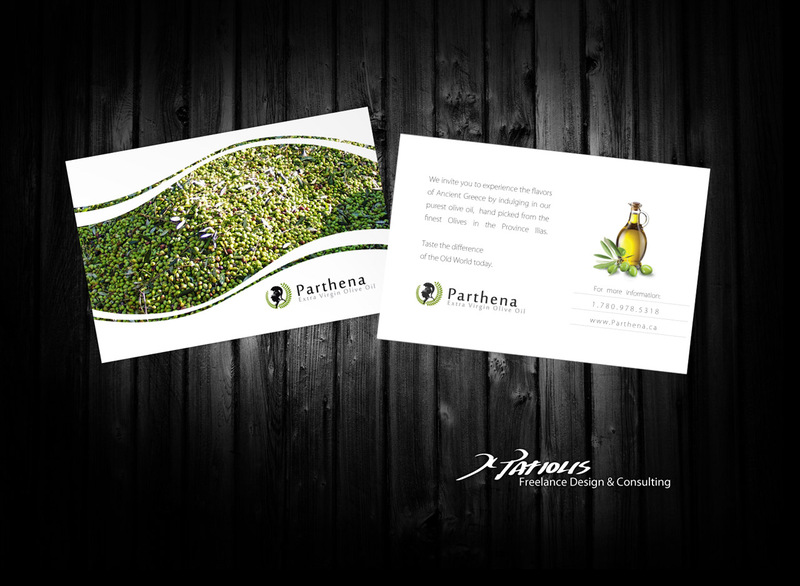 Parthena Extra Virgin Olive Oil has been one of our most persistent clients in 2012. This truly wonderful product that is showing up in stores all over is run by one woman. Everyday she gets up and heads out and sells her product, door to door, store to store. It was a pleasure to work with her and create a sleek beautiful modern packaging that catches your attention and keeps the product at its finest, not to mention the website, business cards, postcards, posters and any other little items we had a hand in. We received a wonderful compliment from a fellow friend and architect who came across Parthena and instead of giving his usual holiday bottle of wine for 2012 he switched it to Parthena Olive Oil. How exciting is that? Recently we went back and added a store locator to the site to assist YOU in finding and tasting this gem. If you find the time take a scroll through www.parthena.ca to learn more about this one of a kind product.